Since the twentieth century, the acoustic guitar has been among the most popular musical instruments around the world. Acoustic Guitars are divided into many types. To help you make a selection, we have prepared this manual for you to advise you on how to choose an acoustic guitar. If you are a beginner looking for a universal and versatile tool, we recommend you choose an Dreadnought type acoustic guitar. If needed, our experts will be happy to help you make up your mind at the telephone number 020 8089 1481 (Mon-Fri 9 am- 5 pm or at the e-mail address . The so-called acoustic guitar is fitted with metal strings and is usually played with a pick. This type of musical instrument is also widely designated as the western guitar. Classical guitars with nylon strings (so-called Spanish guitars) which are designed to play classical music and flamenco are discussed in the article how to select a classical guitar. The acoustic (western) guitar is designed for all modern genres such as rock, pop, country, bluegrass or folk. The basic difference in acoustic guitars lies in different body shapes and the use of different materials that influence the sound. 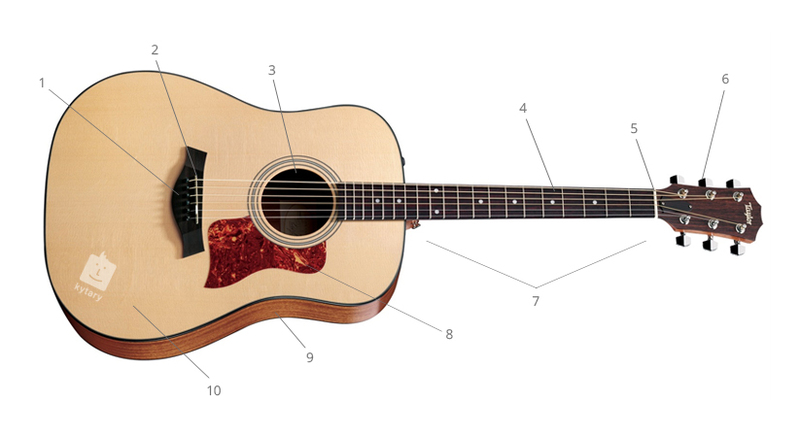 The Dreadnought shape is universal and it is a completely versatile acoustic guitar. It is especially suited for playing with a pick and offers you a balanced sound across the entire spectrum: solid bass, concrete mids and clear treble. With a Dreadnought guitar, you can never go wrong. Jumbo guitars, as the name implies, are characterized by a large and bulky body. This gives them a stronger and louder sound as well as enhanced bass frequencies. The generally deeper sound is bought here along with the larger dimensions. Acoustic guitars with the label "Grand" are among the most modern types. Grand Concert guitars are guitars with a relatively small body, which are designed for a new wave of fingerstyle players - musicians who play with their fingers. The size of Grand Auditorium guitars is between Dreadnought and Grand Concert guitars. This makes them suitable to play with a pick and fingerstyle. A balanced sound across the entire spectrum is the motto of these guitars. These guitars provide a powerful, loud sound due to their body size. Compared to Grand Auditorium, Grand Symphony guitars have "turbo boost", which exhibits a more solid bass and more robust sound. Grand Orchestra guitars have the largest body of instruments of this type. The large body provides a strong bass response, a loud sound and a very long sustain (reverberation). You'll also get tremendous dynamics with these guitars. Whether you play whole chords with a pick or pick the strings, it will always reward you with a dense sound. Twelve-stringed guitars have double strings. The pairs of individual strings are located very close together so that they always sound together. Thanks to double strings, these guitars have a fuller and richer sound. The pair of the thinnest strings ("e" and "b") are identical, the other pairs of strings ("g", "D", "A", "E") are tuned to a one-octave difference. There are a few specific types of guitars that are somewhat exceptional - for example on account of their body shape, specific design, or used materials. These instruments are in the "Other" section. The body refers to the guitar body. The method by which it is produced determines the sound qualities of the instrument and its resulting price. • The most affordable acoustic guitars have a laminated (plywood) body. These instruments are ideal for beginners not only from the perspective of cost but also for their ease of maintenance. Guitars with a laminated body are great for travelling, for singing around the campfire and similar occasions, as they are highly resistant to the surrounding conditions. • The next level is semi-solid guitars. This designation means that the front panel is made of solid wood. The sides and back plate are made of laminated material. In general, semi-solid wood guitars offer a richer and fuller sound. At the same time, they also require at least minimal control of the humidity in the room in which they are stored, as solid wood tends to ‘work’. • The highest level of guitars consists of those made entirely of solid wood. Their soundboards, sides and back are made from solid wood. The quality of the materials used to make these guitars is on the highest level, which naturally has a positive impact on the sound. Solid-wood guitars are also the most sensitive to the surrounding conditions and require careful control of the humidity in the room in which they are stored. A very important part of the guitar is the front plate. The vibration of the strings is transmitted on it, so it plays a large part in the resulting sound and its character. It is precisely the selected front panel wood that determines what sound properties that your future instrument has. This wood is one of the most popular. The spruce front panel will produce a bright, bell-like sound. Thanks to the combination of hardness and flexibility, guitars with a spruce front plate have a large dynamic range. Cedar is softer than spruce, but it is not so flexible, so it is better able to withstand ambient influences such as temperature changes or humidity. Cedar has a bass sound and stands out with a longer sustain compared the spruce (reverberation). Guitars can be divided into acoustic and electro-acoustic. Electro-acoustic guitars are equipped with a so-called piezo pickup and an active preamplifier, which is located on the side of the guitar. 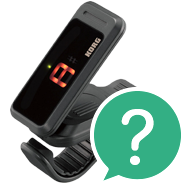 The advantage of electro-acoustic guitars is that they can be easily plugged into an amplifier and amplified. If you are planning to play your guitar in public, then we definitely recommend an electro-acoustic model. When purchasing, be sure to remember the appropriate accessories for an acoustic guitar. These include a tuner (sufficient is any clip tuner), a solid case or a soft gig bag, a replacement set of strings and a stand, in which your guitar will look majestic :-). We can also divide acoustic guitars into those with cutaways and those without cutaways. The cutaway is located on the underside of the body at the neck. Its purpose is to access the upper positions on the fretboard to ensure comfortable solo playing.